Multivault safe gives you the security of 16-gauge steel plus the fast access of the unique no eyes control panel. 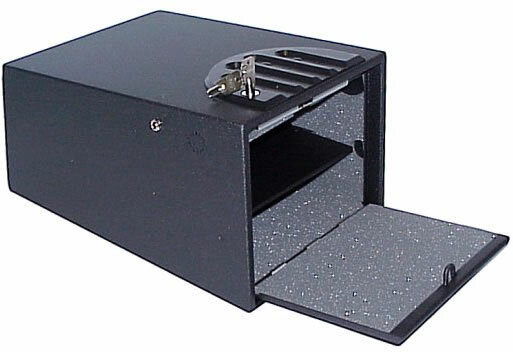 You can open a gunvault gun safe in seconds - with one hand. It's easy to program with your private security code. A built in computer blocks access after five wrong code entries. Battery power provides maximum security and easy portability. A gunvault gun safe mounts almost anywhere - in any direction. It's strong on the outside soft on the inside. Dimensions :14" x 10.3" x 8.2"